Reception - Welcome to our Hospital. We are glad you are here! Exam Room - The doctor will see you soon! 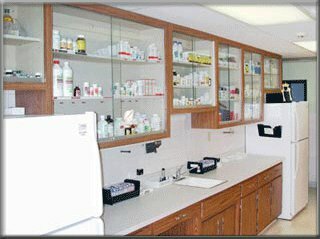 Pharmacy - Countryside Veterinary Clinic maintains a full-service pharmacy. Medication refills can be requested by phone or fax. In addition, we can authorize refills if you use an online pharmacy! 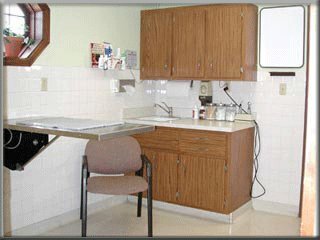 Large Treatment - Our treatment area is comprised of three rooms: large treatment, small treatment and x-ray. 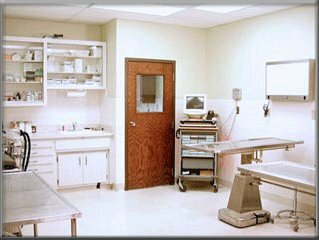 We use this area for many different procedures such as post-operative exams, evaluation of hospitalized patients, collection of specimen samples, emergency care, medication administration, pregnancy ultrasounds and digital radiographs (X-Rays). 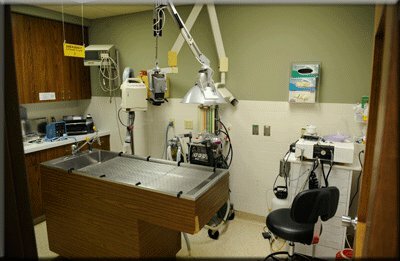 Dental Suite - Regular dental care extends the life of your pet! 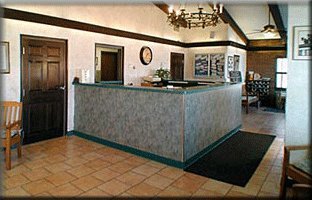 Pet dental cleanings are performed in the clinic’s dental suite as an anesthetic procedure. 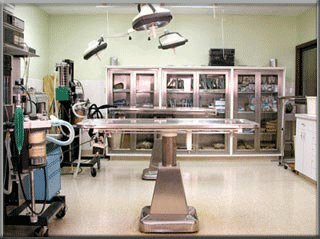 Surgery Suite - Patient Monitoring/Medication Administration/Emergency Care and surgeries are performed here. 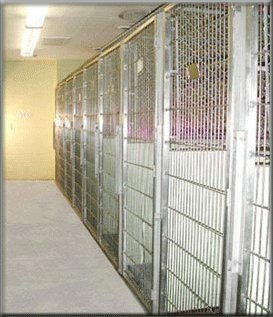 Boarding - Countryside Veterinary Clinic has a housing area designed to provide your pet with safe, comfortable housing if he or she is hospitalized. In addition, we offer medical boarding for pets requiring special medical care and frequent doctor monitoring.